You know the saying, “a place for everything and everything in its place”? There truly is no better feeling than an organized home. That’s why we’ve gathered lots of great ideas that will not only help you tidy, toss and totally tune in to The Life-changing Magic of Tidying Up craze, but do so beautifully – without it feeling like a chore. If you’ve spent any time watching Marie Kondo on Netflix lately, you’ll quickly see that her Japanese art of decluttering does a soul good. 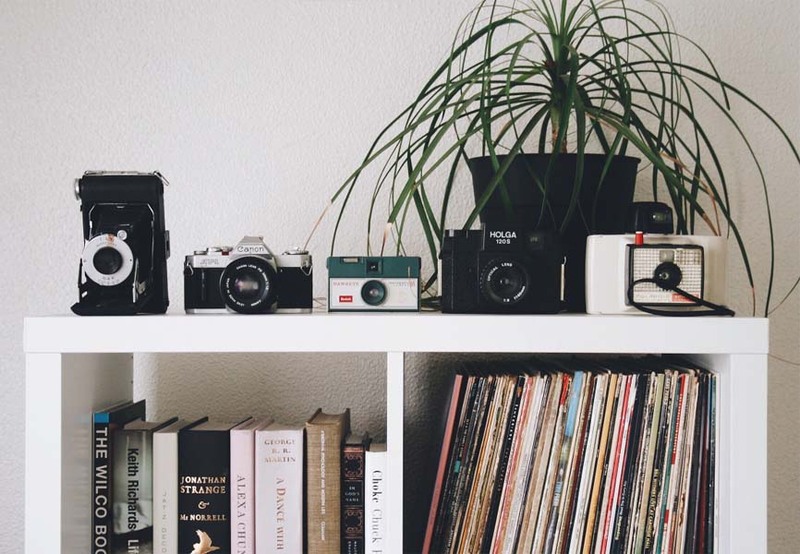 From her belief that every item in your home should spark joy, to her ability to create serenity and inspiration out of chaos, it’s no wonder we’re all suddenly obsessed with keeping things straight and appreciating the material things we own. First of all, there’s no shortage of tips out there on how to organize your home from top to bottom. You’ve likely done a spring cleaning here and there and purged or donated old items you no longer use. Maybe you’ve even bought a basket or two to hide things away, or taken advantage of the annual IKEA storage event to try to contain some of that “stuff”. The thing is, life is busy, and chances are you have a gazillion other things on your list that push “organize beautifully” to the very bottom. 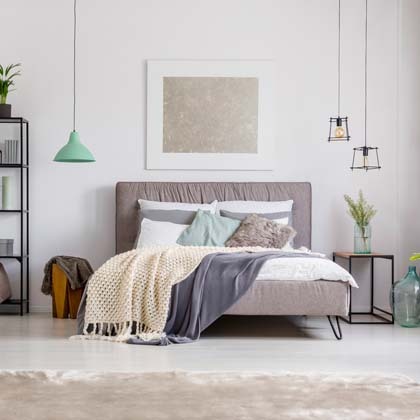 So, before you get too stressed out about the concept, we’re here to provide you with a few easy solutions that will help you find a place for everything while adding charm and style to your space. After all, according to The Most Chic, a neat and tidy home is scientifically proven to have countless benefits for your physical and mental health. • Embrace open shelving – one of the biggest kitchen trends is open shelving, so why not make the most of it and put dishes, bowls, canisters and platters within arm’s reach? It’s an easy organizing hack that also saves cupboard space. • Hang a towel bar over the sink or counter – this simple trick looks deliberately stylish while being incredibly practical. Things like spices, ladles, towels and more can all be within easy reach. No more cluttered utensil drawer! • Use clear canisters – rather than the bulky boxes or floppy bags dry goods like cereal and rice come in, use clear Mason jars that seal tightly and can be displayed on those open shelves you just installed. You’ll be able to keep track of when to restock, you’ll be right on trend and you’ll feel super organized. • Pick up a colourful bin for pet food – who has room for those big messy bags? Instead, pour food into a sturdy bin that matches your décor. • Hang jewellery on a pegboard – this easy DIY project will keep baubles in one place, and will look great, too. 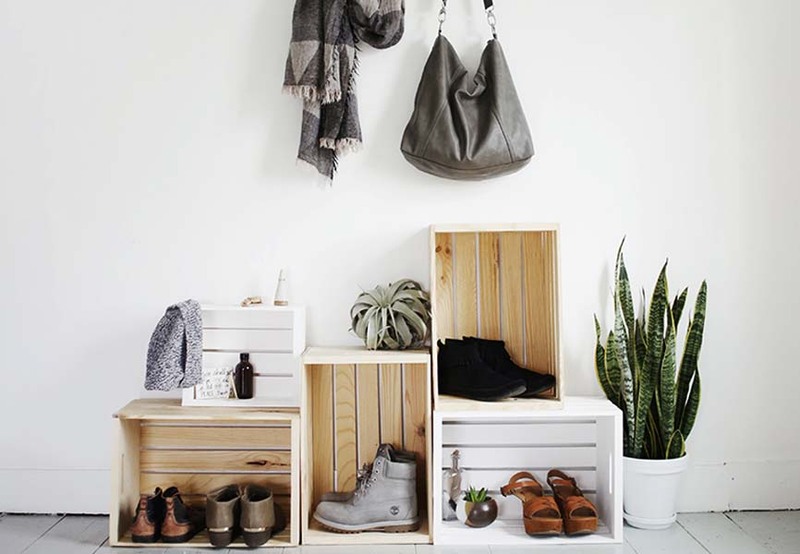 • Stack wooden crates – pick up a few of these inexpensive boxes and stack them at your front door for shoes, in the living room for toys, or just about anywhere you need to tuck things away. You can even paint them to match your wall colour – or go a little funkier and paint each one a different colour. • Hang wire baskets – whether in the kitchen, bathroom or laundry room, wire baskets are a chic and handy way to maximize unused space. For more inspiration, check out MyDomaine’s list of 30 storage hacks that will handily beautify your space – and help tidy up your life. Whether it’s a fresh coat of paint or a new duvet cover, we take pride in the things we do to make our apartment or house feel like home. That’s why even the small-ish act of tidying up can do so much for your peace of mind and can even change your life. • Use paint to unify clutter. Here’s a trick to help keep that open shelving you’re about to install in your kitchen looking tidy – paint your walls the same color as your dishes. They’ll stand out less, making the shelving look organized. • Invest in matching canisters. 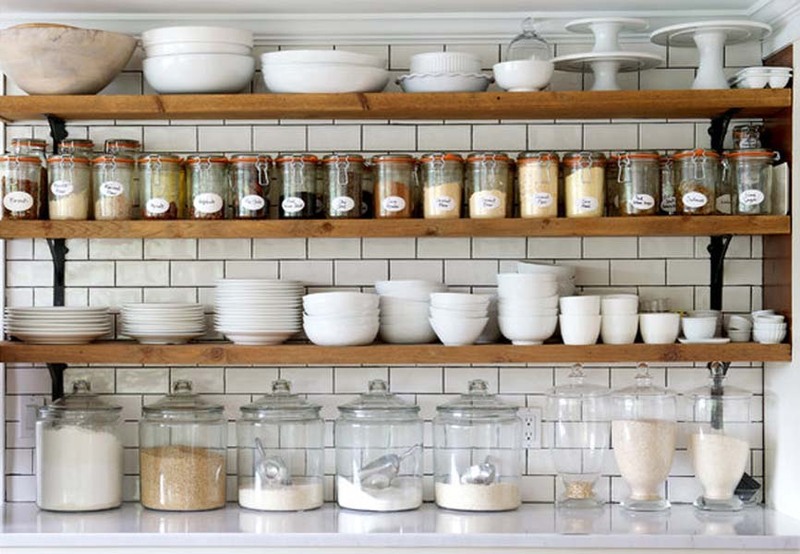 Aside from standard Mason jars, use steel, ceramic or glass canisters as a beautiful way to organize your pantry, and instantly make your shelves look cleaner. Be sure to stick to one jar style to master the look. We found some great options here. • Make use of low storage. Keep cookbooks or small appliances on a shelf just below your counters. They'll be much more pleasing below eye level, but still easily accessible. • Or, check out our post on kitchen organization that makes sense. It has a ton of kitchen organization ideas, from where to tuck away spices to organizing your junk drawer. • Arrange storage bins strategically. Place bookshelves and bins at ground level, to encourage your kids to help tidy as they go (so you don't have to). • Display nostalgic items. It’s hard to part with certain cherished books, toys, and dolls – so why not install floating shelves on the walls to showcase them? • Introduce rugs. This is a commitment-free way to introduce colour and pattern into a child’s room – and a great way to create a play area that's easy to remove and clean. • Choose a colour theme. If you’re lucky enough to have a dedicated work space at home, consider purchasing magazine files and desktop accessories in a single colour. A cohesive shade can help make a desk full of paper, books, bills and other odds and ends look neater. • Disguise cables with artwork. Framed artwork can be a great way to cover unsightly computer cords in a workspace and make it feel “decorated”. • Create a digital filing system. Sometimes hard copies are necessary, but the vast majority of loose paperwork can be kept in digital form on an external hard drive. Set aside a few hours to scan documents, and recycle the strewn papers when you're done. • Create a closet code. Arrange every item in your closet by colour and type. For instance, all the blue shirts together in one section, all the jeans together in another. • Invest in one hanger style. This one is so easy! Ditch those dry cleaner's wire hangers and opt for wooden ones that just simply make your closet look so much tidier. • Adjust shelves. If your closet shelves are adjustable, update their positions so shoes and other hard-to-store accessories like handbags fit perfectly. • Mary Kondo your closet. Say goodbye to the clothing you never wear and make sure your clothes are visible and vertically folded. Check out these “before and after” shots for even more tiding-up inspiration. You’ll be amazed at what a few baskets can do! 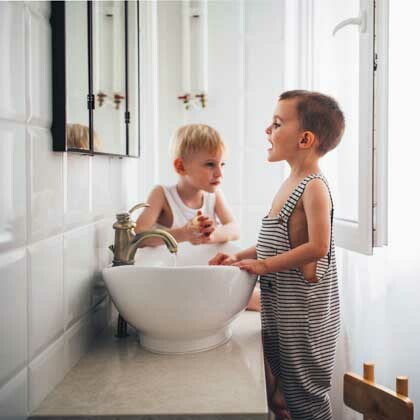 Whether you’re settled into your current home or apartment or you’re thinking about making a move into a new community and want to be organized from the get-go, taking some time to find “a place for everything” will not only spark joy in your life, it’ll feel pretty darn good. Happy organizing!